Speaker on Diversity & Inclusion, Women’s Advancement, Leadership, and Self-Empowerment | President bhasin consulting inc.
What if, in the middle of your live TV appearance, someone called in and asked for advice in overcoming racial prejudice? 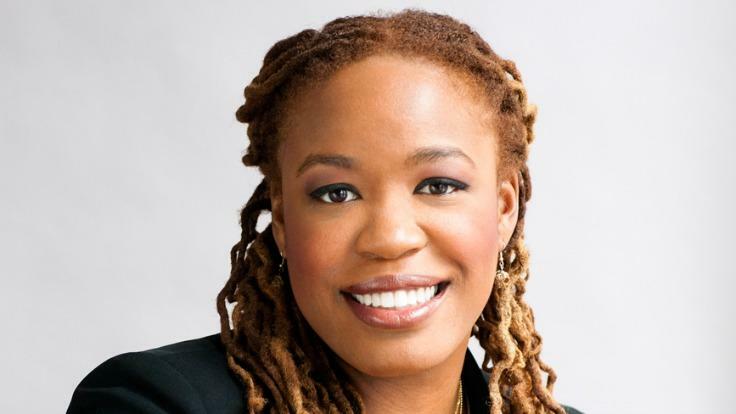 For public policy expert and speaker Heather C. McGhee, the response was natural—she helped. In the wake of that exchange (viewed more than 8 million times), Starbucks approached her to institute a company-wide anti-bias training program. From the personal to the corporate, McGhee’s talks kickstart a much-needed cultural effort towards putting systemic repair into action—with urgency, up-to-the-minute research, and sensitivity to all involved. Heather McGhee is an expert in economic and social policy, racial healing, and transformative organizational change. More than that, McGhee is a storyteller. Her talks ask audiences to consider—at a time of increasing diversity, who is an American, and what are we to one another? For McGhee, America’s racial and cultural diversity is its greatest asset, and she helps audiences—in corporate board rooms, the halls of Congress, and in the streets—learn how to realize this potential through concrete actions. Her passion is informed by a comprehensive expertise on how public policy can redress economic inequality, and is strengthened by her own deep empathy. McGhee is currently writing a book about the real economic and psychological toll that racism takes on white Americans (as well as Americans of color), and how they can benefit from ending it. The book will be published by Penguin Random House in 2019. As the former president of the inequality-focused think tank Demos, she drafted legislation, testified before Congress, and became a regular contributor on shows like Meet the Press and Real Time with Bill Maher. She also led Demos’ own racial equity organizational transformation, resulting in a doubling of the organization’s racial diversity and growth across all measures of organizational impact. McGhee’s riveting talks communicate this with passion and seriousness, “challenging the paradigm of racial competition in this country.” Racism doesn’t just hurt us on a personal level. It divides and alienates companies and their employees, employees and their clients, clients and brands. The trickledown, explains McGhee, is far-reaching. And she’ll show you precisely how – and why – it behooves us all to start healing now. Not long after McGhee’s television appearance went viral, Starbucks founder Howard Schultz asked McGhee to advise the company as it designed an anti-bias training for 175,000 employees in the wake of the unjust arrest of two black men in a Philadelphia store. McGhee co-authored a report with recommendations for how Starbucks can apply a racial equity lens to their businesses, and how other companies both large and small can benefit from doing the same thing. Her talks address this with clear takeaways, like how to make the process mission-critical, how to get buy-in from your teams and how to do it all with joy. Now a Distinguished Senior Fellow at Demos, McGhee holds a B.A. in American Studies from Yale University and a J.D. from the University of California at Berkeley School of Law. McGhee is a member of the World Economic Forum’s Global Agenda Council on Civic Participation, and serves on multiple boards of trustees, including the Rockefeller Brothers Fund and Indivisible. Over her tenure as President of Demos, Heather McGhee increased the staff diversity by 100 percent and created an original racial equity curriculum and process that helped the 50 staff members and trustees better operate in a diverse professional environment. Most importantly, the organization’s transformation was characterized by joy and a renewed commitment to its mission and purpose from staff of all backgrounds. In the spring of 2018, Heather served as a pro bono advisor to Starbucks, helping shape their company-wide anti-bias training on May 29th and co-authoring a report, “Toward a Vision for Racial Equity & Inclusion at Starbucks” with recommendations that can be adapted for other corporations. With this talk, McGhee addresses corporate executives and staff about the business benefits of leading such processes and how to get alignment for change. Heather McGhee’s gracious response to a prejudiced caller on C-Span transformed his life and inspired tens of millions when the video went viral. By treating his admission of racism as a courageous step, she created an opening for countless other Americans to face their own biases. She went on to offer him ideas for how to overcome his prejudice, steps he has since followed and transformed his life. In this talk, McGhee speaks to what she has learned from her unlikely friendship, and, drawing on her expertise in racial healing and transformation, offer concrete steps for how ordinary people can bridge the racial divide at work, school, and in our fragile democracy. Today’s young people are inheriting a radically different economy and society that has left an indelible mark on their aspirations, values and life trajectories. An expert on the economic challenges facing young adults and youth-led activism, McGhee offers much-needed context for understanding the Millennial moment. She can speak to students, teachers, and employers of millennials, and she can marshal the groundbreaking research Demos has undertaken to characterize the challenges facing a brand new, post-Millennial generation now entering the workforce. ‘I’m Prejudiced,’ He Said. Then We Kept Talking. A C-SPAN caller asked a black guest how to stop being prejudiced. Here’s how she responded. Heather Demos is a guest on the podcast. Transformative Organizational Change Isn’t Impossible. New Speaker Heather McGhee Has Done It and Can Show You How.